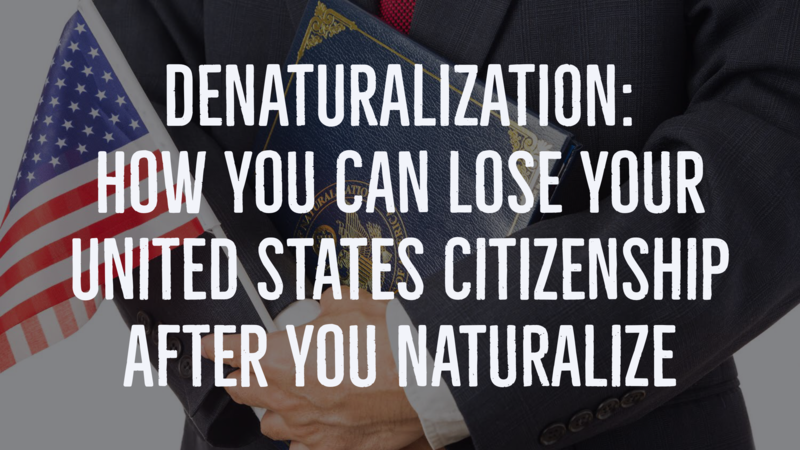 Denaturalization: How You Can Lose Your United States Citizenship After You Naturalize. As an immigration attorney, when I talk to my immigration clients about their future, the first thing I tell them is to become a United States citizen as fast as they can, if they want to spend the rest of their life in the United States. I tell them to run, not walk, to the United States Citizenship and Immigration Services Office to file an N-400 Application to naturalize. I pick up the bulky Immigration and Nationality Act and tell them they can have a bonfire and burn that book after they naturalize, because the Immigration and Nationality Act no longer applies to them. They will become full fledged United States citizens with all the bells and whistles. But with everything in life, especially in the law, there are exceptions. And one of those exceptions is through a process called denaturalization. Denaturalization is the process of undoing a person’s naturalization and stripping that person of United States citizenship. 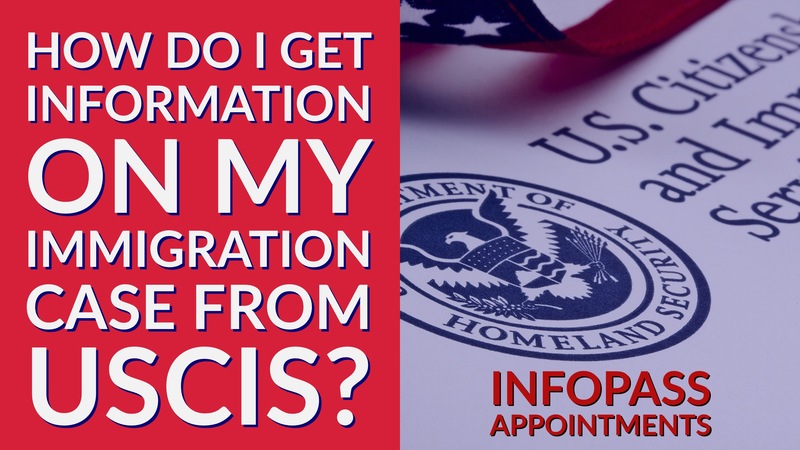 This process is typically initiated pursuant to an allegation that the person obtained their citizenship through fraud or misrepresentation or that they were not eligible for naturalization. It is very difficult for the government to denaturalize someone as the burden of proof is very high and it must be done in federal court. What Can Happen To Me If I Claim To Be A United States Citizen Before I Become One? Claiming to a United States citizen when you are not one may not appear to be that horrible of an act, but under immigration law, it is one of the worst things you can do as a non-citizen. Falsely claiming to be a U.S. citizen for almost any reason, can lead to a permanent denial of lawful permanent residence (a green card), a denial of your Application of Naturalization (citizenship), you can be detained and put in immigration removal proceedings, denied other forms of immigration relief and ultimately deported. Yes, that’s right, unless and until you are a U.S. citizen, you should never tell anyone you are a U.S. citizen for any reason. If you are not a U.S. citizen, the circumstances that you may claim to be a citizen can vary. Most people who get in trouble for claiming to be a U.S. citizen did so in the context of registering to vote or when filling out the Form I-9 Employment Eligibility Verification. Others may have claimed to be a citizen to obtain federal benefits such as student loans, a home mortgage, Medicare, Medicaid or food stamps. Some people falsely claim to be a U.S. citizen so that they can get a U.S. passport. This is not only something that can get you deported, its also a federal crime. Some people falsely claim to be a U.S. citizen to avoid being deported when they are interviewed by immigration officers at the U.S. border or when arrested on a criminal offense. Regardless of the circumstances under which a non-citizen claims to be a U.S. citizen, the penalties and consequences are severe-the U.S. government takes false claims very seriously. Last month I had the honor of speaking at the Florida Public Defender Association’s 30th Annual “Trial with Style Conference” in unfortunately rainy Fort Lauderdale. While in one of my former lives as a state prosecutor and I like to think I always tried my cases with style, during this conference I did not talk about anything specifically to do with trying a case. My topic was “Crimmigration: the intersection of Criminal and Immigration Law.” Let me preface this piece with the following caveat; not all immigrants are criminals (sorry Donald Trump) and recent research has shown that foreign-born residents are less likely to commit serious and violent crimes than native-born citizens. That being said, this subject is of great interest to most criminal defense attorneys in Florida. Florida has the fourth-highest foreign-born population in the U.S. Almost 20% of all residents in Florida were born in another country. Because Florida is now the third largest state with a total population of over 20 million, that means we have roughly four million foreign-born people living in Florida. Florida is also top 10 in the country in crime rate. You combine all of these factors, and you see why criminal defense attorneys need to know immigration law. Whether you are a Defendant in State or Federal Court, if you are not a U.S. Citizen, you need an Immigration Attorney Immediately. Finding yourself in handcuffs and under arrest is a traumatic experience for everyone. Many thoughts run through your mind, where will they take me, will I be able to get out of jail, can I afford a criminal defense attorney? One thought that should also be at the forefront for everyone arrested who is not a U.S. citizen is, how will this arrest affect my immigration status and will I be deported? For non-citizens who are arrested, hiring a criminal defense attorney is just the first step in protecting your rights. While criminal defense attorneys in both state and federal court are charged by the U.S. Constitution with providing accurate immigration advice to their clients, in reality, this often does not happen. Criminal defense attorneys are often unable to give accurate immigration advice because they do not practice immigration law and have no idea what the effects of a given criminal charge will be for a client. This is true because the criminal aspects of immigration law, or crimmigration is a very nuisanced, complicated, ever-changing and inconsistent area of law that even the most experienced immigration attorneys are often fearful of practicing. If immigration attorneys don’t know the immigration consequences of criminal prosecutions, how can your criminal defense attorney be expected to know them? How do I know if I’m a United States Citizen? Seems like an easy question, right? You would think a person would know if they were a United States citizen as a matter of common sense. But sometimes it’s not that easy. If you have a United States citizen parent, either by birth or naturalization, you may have automatically acquired or derived U.S. citizenship and may not even know it. 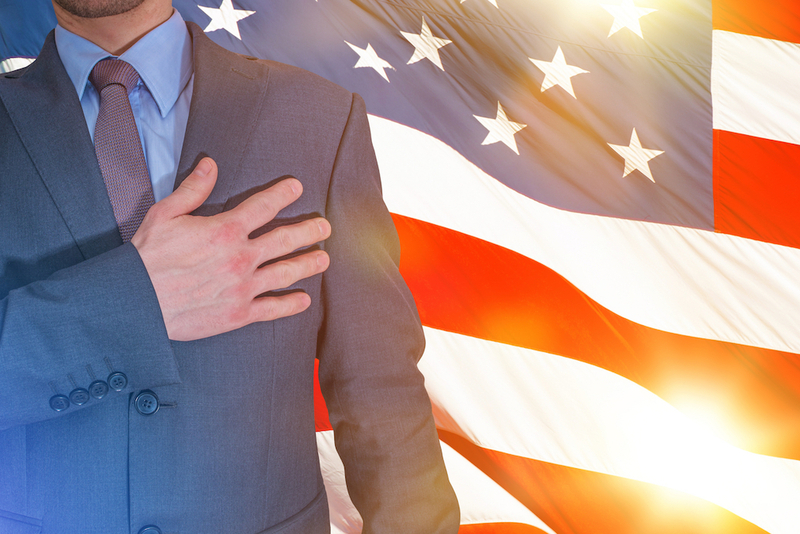 A person can become a United States citizen any one of the following four ways: Constitutional citizenship, Acquired citizenship, Derivative citizenship, or Naturalization. Constitutional citizenship – The fourteenth amendment of the United States Constitution states that “…all persons born in and subject to the jurisdiction of the United States are citizens.” This means that anyone born on U.S. soil is a United States citizen, other than the children of diplomats not subject to the jurisdiction of the United States.